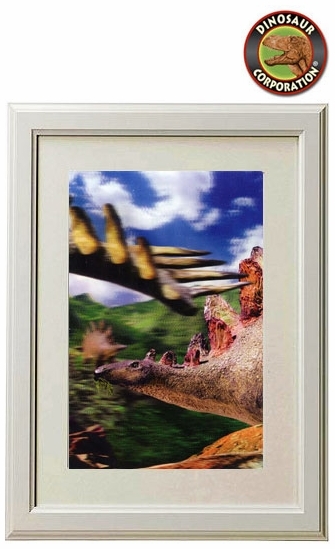 3D Stegosaurus dinosaur framed picture is a perfect match to your kids room prehistoric decoration. A great birthday gift idea! * Stegosaurus was 30 feet in length, 7 feet high and weighed 3 tons.